Stainless Steel Cap-Hi-Light International Inc. The chrome appearance is the ultimate in style and service. This Lockout Hub in stainless steel cap made by die-casting aluminum into a pre-made stainless jacket is available for most application. 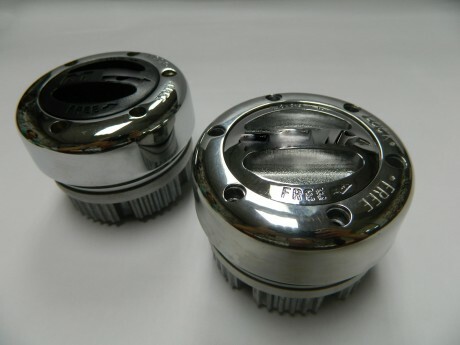 The other type of chrome cap with black nylon reinforced fiberglass dial, the Lockout Hub features solid value in a 4WD.